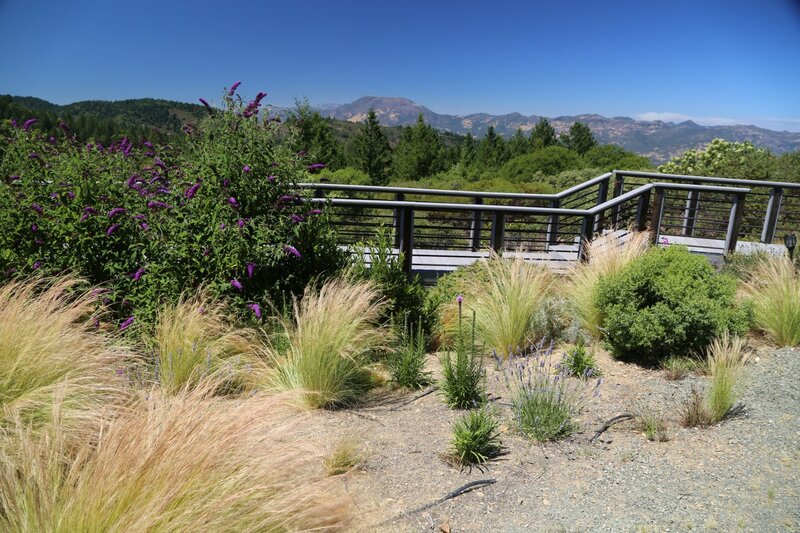 Terra Valentine was founded in 1996 by Angus & Margaret Wurtele when they purchased vineyard property and a winery on Spring Mountain (in the Mayacamas Mountains above the town of St. Helena). 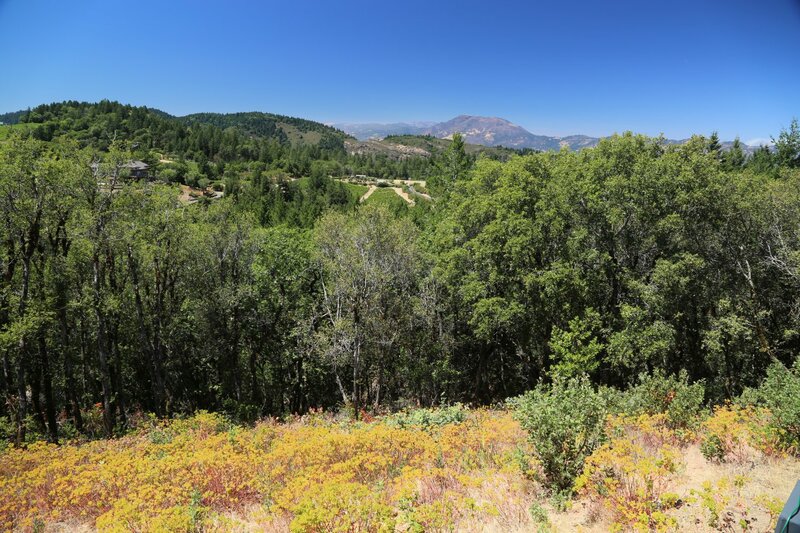 The Wurteles had always enjoyed visiting the Napa Valley and were interested in “retiring” here (which never happened as they continue to live in Minnesota). Angus’s primary job before his wine venture was as Chairman of what is today one of the largest painting and coatings companies in the world – Valspar Corporation. The winery is named after his father whose first name was Valentine. When you combine retirement with starting a new winery, the word “retirement” loses its meaning rather quickly. 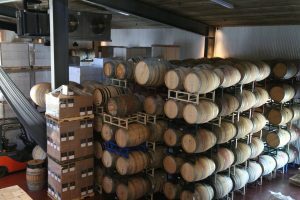 When they purchased the physical winery on Spring Mountain, it needed much work; they totally remodeled and added a state of the art wine making facility. The Wurtele’s hired Phillip Baxter as their consulting winemaker. Phillip moved to the Napa Valley in 1969 – worked at Charles Krug and later became head winemaker at Rutherford Hill Winery. Today Phillip and his son Phillip Jr run BAXTER, a winery that focuses on wines from Anderson Valley and other parts of Mendocino County. It was through his father’s role at Terra Valentine that his son Sam Baxter was hired as cellar-master in 1999. Later Sam became head winemaker and ultimately General Manger of Terra Valentine. 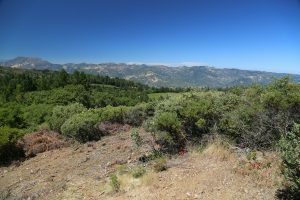 In late 2013 the Wurteles sold the physical winery and one of their two vineyards, the Yverdon Vineyard to Jackson Family Estates (Kendall Jackson). 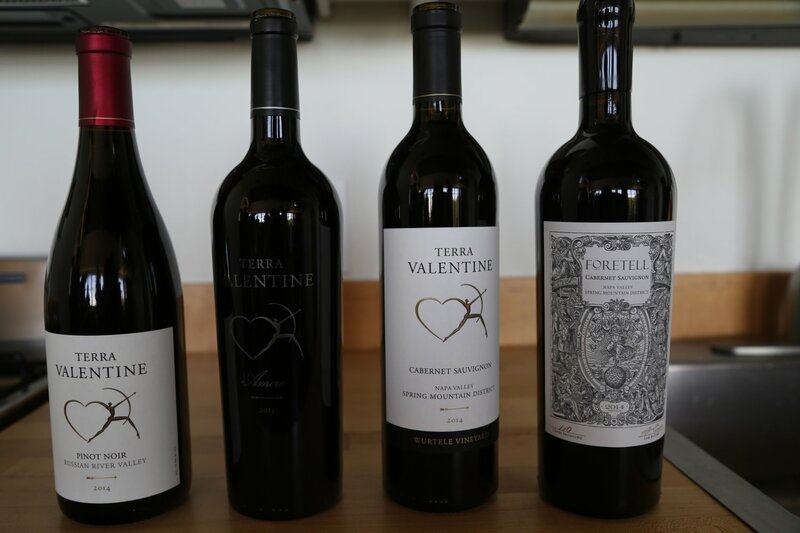 In 2014 while looking to take an additional step closer to really retiring the Wurteles also sold their Terra Valentine brand to their longtime winemaker Sam Baxter and his wife Angela. With the Wurteles living in Minnesota, for many years Sam was the face of the winery and was synonymous with the brand. It made perfect sense for him to take over the ownership. 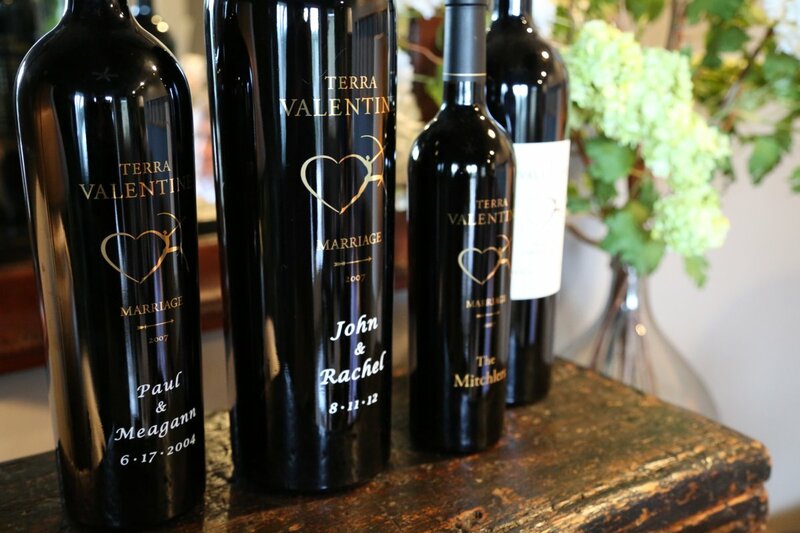 With the change of ownership Terra Valentine is no longer tied to the estate model of vineyard ownership. Sam relishes the new opportunities this brings – being able to source fruit from select vineyards throughout the valley. 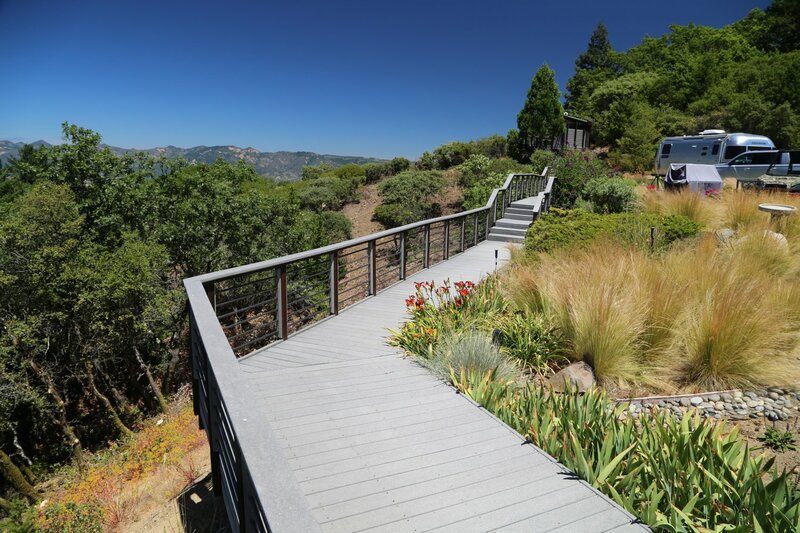 However the desire to own his own vineyard piece of Napa came to fruition in late 2015 when they purchased a 112-acre property called Spring Summit Ranch – located at 2200 feet high on the uppermost slopes of the Spring Mountain appellation (also includes a tiny house on site). 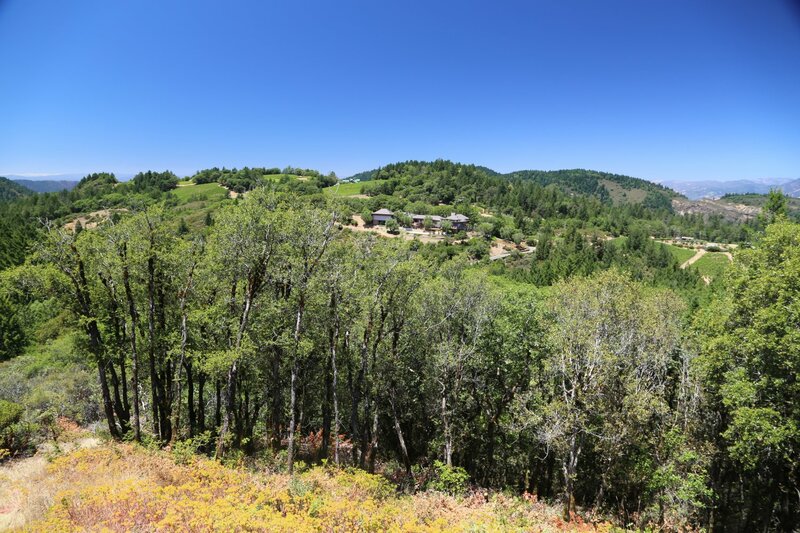 This property was not planted to vines at the time of their purchase – approximately 90% of the property is in Sonoma County with 10% in Napa. Regardless, the views from the top are spectacular taking in the hilly landscape looking west in Sonoma County all the way to a gap leading to the Russian River in the distance – with also excellent views of Mt. St. Helena and a tiny sliver of the northernmost part of the Napa Valley floor. 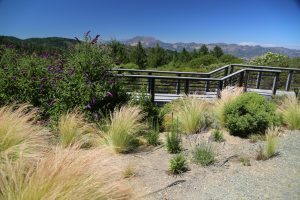 From here, one can also look down into the canyon that contains the headwaters of Santa Rosa Creek – the same creek the runs through downtown Santa Rosa. Plans call for eventually planting up to seven acres of grapes on the Sonoma side of the property. 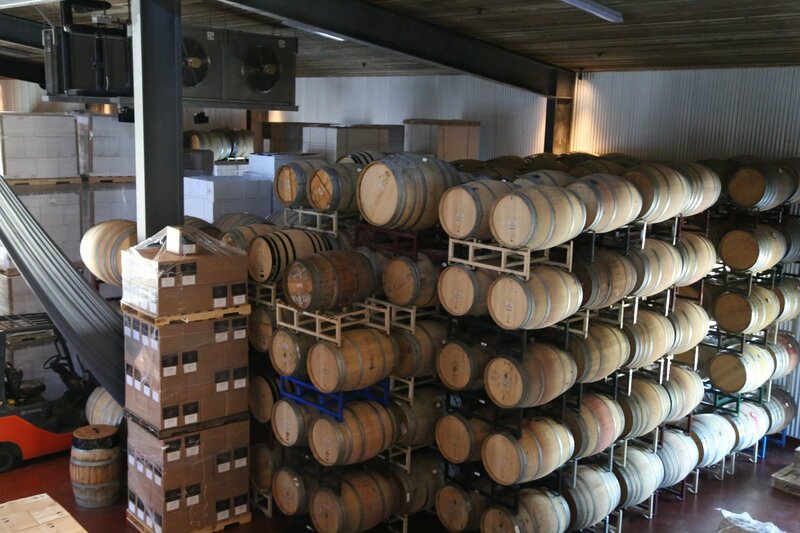 They currently make a wide variety of limited production wines. Sam continues to focus on these wines that they have made for years but has also added several other small production wines to the their portfolio. Unusual by Napa standards is a Riesling (dry and from Spring Mountain) and a Blanc de Noir, a sparkling wine sourced from grapes grown in Sonoma County. They also make a rosé – with 2013 being their first rosé of Sangiovese and Pinot Noir (usually Cabernet Sauvignon is part of their rosé program). Sam and Angela debuted an exciting label in early 2015, Foretell which focuses on small production (around 100 cases) Pinot Noir and Cabernet Sauvignon. The name of this wine is based around the idea of a winemaker trying to “foretell” or predict the characteristics of a wine and how it will age – starting from the vineyard, through the wine making process through it’s aging. 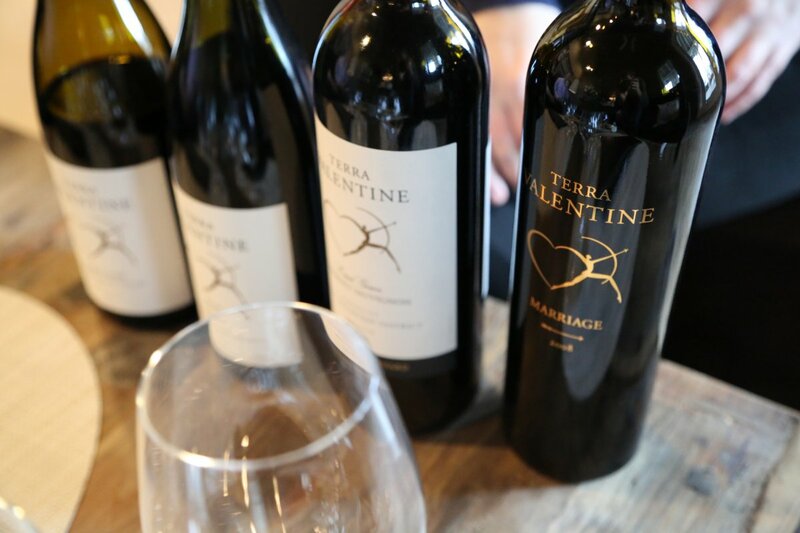 Since 2004 Terra Valentine has sourced grapes for their Pinor Noir from three vineyards in Sonoma County – in the Russian River region. The 2012 Pinot Noir is aged sur lie, un-fined and lightly filtered. Initially the bouquet shows a spicy and earthy note but that is not what this wine is about. After the wine opens the bouquet is about the fruit – raspberry and strawberry with just a hint of vanilla. The mouth feel is soft and rounded with notes of cola cherry, raspberry and some baking spices on the palate. The 2009 Syrah (100 cases) is 94% varietal with 6% Mourvedre; it is noticeably dark in the glass. The bouquet shows dark fruit, some toasted oak and hints of cedar along with a blackberry note – almost briar like. It is a powerful and an inviting nose. The palate is juicy, mouth watering with plenty of flavor. The finish is long with layers of fruit but without huge tannins. Rather the tannins are clean, very well integrated and show delicately in the front of the palate rather than the back. For many years they have made two Cabernets from what were their two estate vineyards: Yverdon and the Wurtele Vineyard. With the sale of the Yverdon Vineyard they will no longer be making wines from here but for upcoming vintages Sam made arrangements to source fruit from the vineyard that directly borders Yverdon. After the sale of the winery and Yverdon Vineyard the Wurteles decided to keep the Wurtele Vineyard and today they lease the grapes from this vineyard to Terra Valentine. They tend to hold back their red wines longer than the average winery – during a recent revisit we were tasting 5 year old red wines. The 2008 Yverdon Cabernet Sauvignon is blended with 5% Merlot. The nose is sweet, perfume-like with plenty of black fruit (blackberry, ripe plum) including aromas of black licorice. Layers of flavor with big fruit up front and lingering dusty tannins on the finish along with notes of oak. The 2008 Wurtele Vineyard Cabernet Sauvignon is 100% varietal. The bouquet is chalky or dusty if you will complemented by dark berry fruit and notes of cocoa powder, baking spices and a unique hint of an Indian spice. This wine packs plenty of power on the palate with both flavor and big mouth filling chewy tannins that linger for quite some time. The 2008 Marriage is a Bordeaux blend barrel selection from both the Wurtele and the Yverdon vineyards. The wine is a blend of 60% Cabernet Sauvignon with smaller amounts of Merlot, Cabernet Franc and Petit Verdot. The nose shows slightly dusty with blackberry and black cherry aroma – the palate is well layered yet maintains a nice balance between fruit and structure. The tannins are certainly there (not as big as in the Wurtele Cabernet Sauvignon), are somewhat chalky and are fairly well integrated into the overall profile of this wine. After the sale of the Terra Valentine property, they temporarily opened for tastings by appointment at a small winery they leased on the east side of the Napa Valley. This winery was sold and Terra Valentine has since moved their operations to a state of the art production facility located just north of the city of Napa. 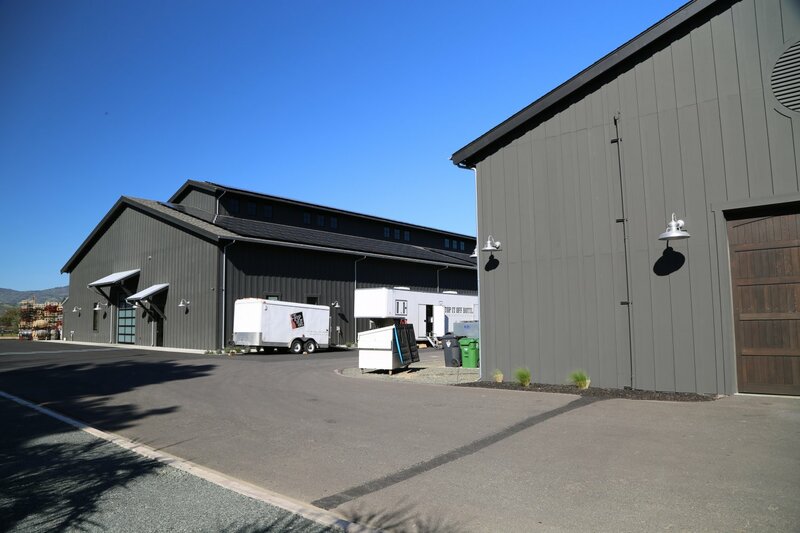 Private tastings are held selectively in a private tasting room above the production facility or at The Studio by Feast It Forward in downtown Napa across from the Oxbow Public Market. Sam is often around and his wife Angela also helps with hospitality and conducts tastings from time to time.